Natural ways to prevent the flu. – No need to get the flu shot. Uh oh! The cold and flu season is here! The sniffles, the coughs, the sneezing, the dry sore throats, the chest congestion, the muscle aches, the fevers… I am so not looking forward to that! You might be asking yourself, can you prevent the flu? Is that what you think almost every year, when summer is coming to a close and fall and winter are just ahead? If it’s not on your mind just yet, it will be as soon as the advertisements to get your flu shot start appearing on TV as they are right now. Oh I hated getting the jab. The flu shot is not a painless course of protection, and many of the ingredients are known to have rare but serious negative side effects. So the nasal mist is better as far as no pain, but still as bad with the negative side effects, and its spotty effectiveness. Plus almost every time I got the flu vaccine I would always get the flu! I used to say, why should I get a painful jab in the arm, risk my health with awful side effects and still get the flu? Common sense would say, find another way because there is always another way. Well I did find another way. I actually found many very effective ways to avoid the flu, that would also help to avoid other types of cold viruses. All you need to do is learn how your own immune system works, and how keeping it strong will save you a lot of pain, discomfort, illness and money. WHY IS COLD & FLU SEASON DURING THE COLDER MONTHS? 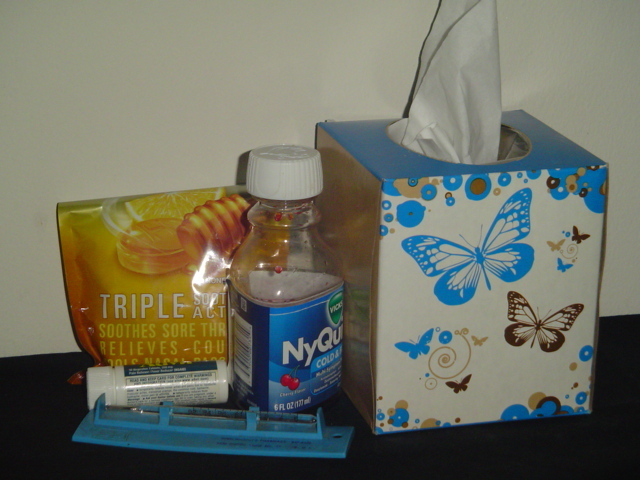 Have you ever asked yourself, why does the cold and flu season happen in the colder months? Were these viruses cold weather junkies? Did they prefer snowboards instead of surfboards? That is the way it would seem. During the colder months we get sick but during the warmer months we don’t. Why is that? Especially since viruses are always present and are the same strength year round. So I did some research and the main reason is because vitamin D production in our bodies from the sun, comes to a complete stop once the colder months return. On this site I want to share with all of you what else I have learned and what I know about how to avoid the flu. Not just some statistics that you can get almost anywhere online, but my own personal experience which I live by every day for the past 27 years. I will tell you about the one fact that was the driving force behind my quest for knowledge, on how I can live a healthier life without multiple trips to the doctor each year. Now that I have a stronger functioning immune system, I only go to the doctor once a year for my yearly checkup. HOW GREAT WOULD IT BE? Think about it! How great would it be to your peace of mind, your overall health, and your finances if you didn’t have to go to the doctor for a flu vaccine every year? How great would it be if what you do to protect yourself from the flu virus naturally, will also protect you from other cold viruses as well? How great would it be to have a strong enough immune system, that some of your other health problems just fade away? It is all possible! Take control of your healthcare, strive for a stronger immune system, learn as much as you can, and put it into practice every day. You will be amazed at the results! So take a look around my site at all of the proven options you have at your disposal. Make sure to check out my Blog page for the latest updates and breaking news about natural therapies for total body health. Only you have the power to control your own health. If you have any questions and/or comments you would like to share, please don’t hesitate to leave them in the comments section below. I will reply back within 24 hours with a response. The best way to avoid the flu is to stay away from people that have the flu. Far too many subject themselves to the virus by going for lunch with someone they “knowingly” has a sick child…or heading into an environment knowingly that has people that are sick with the flu. That is my advice and if I know anyone has the flu or signs of it, I stay away from them. It is simply not worth it. Second, I avoid flu shots. 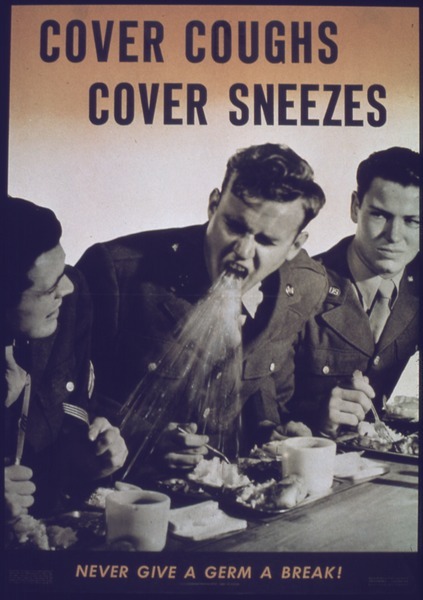 I have never had one and NOT gotten the flu as result…as in within an hour of the shot. They say that it doesn’t give you the flu, but that is obviously a lie. LOL. Excellent flu advice here and I learned a lot about the flu I wouldn’t have known otherwise. Getting a flu shot AND getting the flu itself are two entirely different things. I’ve been getting the shot every year for YEARS and this past winter was the FIRST time I actually got the virus! My wife gets a shot every year as well…and to date has not had the flu. Consider yourselves lucky that you have a strong enough immune system. Being that there are over 150 different strains of the flu virus that are present 365 days a year and the flu shot only protects against 4 strains, you can thank your immune system for the protection more so than you can the flu shot, which is designed to provoke an immune system response and not prevent the flu on its own merits. Another tip about covering your mouth, so you do not scare the people around you with disgusting mucus as portrayed in your picture, is to not use your hands. Chances are you will be touches stuff with the hands and still spreading it. Use the inside of your arm instead. I was not only taught in my son’s cub scouts about this technique, but also when I served in U.S. Navy. Very informative website. Your personal writing style is very easy to read. I loved your juicing recipes! Thank you for your kind words. I always feel that if I write like I talk, then it should be informative. I prefer to give examples and engage the reader by asking them common sense questions. I think it makes it a better reading experience and people can actually learn something in the process. Great site!! Love all the information. Especially about vitamin D and flaxseed oil. You give a lot of great info about the benefits. And it’s great that you are a walking testimony of it all!! Thank you. I love to practice what I preach because if I didn’t I wouldn’t be credible. Vitamin D3, Alpha Lipoic Acid (ALA), CoQ10 have been my mainstays ever since I started on this healthy journey and have saved me from getting sick and a host of other medical problems. In turn this has saved me a lot of money and doctor visits. Plus it is AWESOME to have a doctor who supports me in this approach. As for flaxseed oil I alternate between that and fish oil. The majority of the time I consume flaxseed in its ground or milled form by mixing it in with my food. I have found out that white onion is one of the best protection from flu. Yes this is true. My sister cuts an onion in half and places a half an onion in a small bowl and then in each room of her house. The white onion will absorb viruses. As for ingesting onions, all of them are good for boosting the strength of the immune system. Nice job here, Robert. Your site is extremely informative… very clean and easy reading. Again, very nice job! Thank you Randy I’m glad you enjoyed it! It was my first website and I will be doing another one on health and wellness in the future focusing more on my personal accomplishments with beating cancer and type 2 diabetes without any drugs and all with nutrition. I want to spread the word that there are many all natural cures for both of these diseases that no one hears about because of the censorship that the medical community places on natural therapies. – Thank you for your comment. Thank you Lawrence! Any chance I can get to educate people about things that actually work better than what is offered, especially when I have personal first-hand knowledge about, I am going to preach it. Hopefully someone will listen and benefit from it. I lived in the Caribbean all my life and never got the flu. When I moved to Canada last fall, everyone advised me to get the flu shot because the flu season is approaching and if I don’t get it I will be at risk. So, that’s what I did. I went to the doctor like a good little girl and got the shot in November. My mind was at ease and I was looking forward to my first winter experience bypassing the flu. You’re welcome Yuwn! The reason you got sick was because all the hype about flu shots is a bunch of CRAP! and I was being kind by not saying what I really wanted to say. lol The reason you never got sick from the flu before moving to Canada is because you were living closer to the earth’s equator meaning you received more sunlight and thus your body produced more Vitamin D3 than it can now. The only way you will be able to come close to that Vitamin D3 protection is to either move further south or take Vitamin D3 supplements, it is impossible to get enough from food. I take 5,000 IU of Vitamin D3 everyday from the middle of September to the middle of April then I reduce the amount to 1,000 IU per day because I spend a lot of time out in the sun during the Spring and Summer. – Thanks for reading and sharing your story Yuwn! No thank you for the tips. I will take your advice and stock up on my D3 pills. I’m always here to help. That’s my mission. To help and educate people about a better and safer and more cost effective way to overall health and wellness. Thanks for this excellent and enlightening site. I am not a believer in flu shots and I hope that your site will both teach and inspire others to take better care of their body, immunity, health. I also love your juicing recipes. Juicing is a great way to get vitamins and minerals and you probably won’t “overeat” and you certainly won’t “over cook”! Can you recommend a good juicer? I had one years ago and recently replaced it with one that just won’t do. Thank you for reading my website Chris! Yes I do not believe in the flu shots because 1) There is no solid scientific research that proves they are effective, 2) They are only designed to offer some protection for 4 different strains of influenza out of 150, NOT good odds, and 3) There is a scientifically and people proven way to avoid the flu that is the same thing that keeps us from getting the flu in the summer time, Vitamin D from the sun but when you take it in vitamin pill form it needs to be Vitamin D3 to be the most effective. As for a Juicer I have had two and both times it was the Juiceman Juicer. There are different models but they are all good quality with powerful motors. I would never buy another brand. You’re welcome! I hope you can benefit from it! Thanks for reading my website David. I enjoy how you have presented the information on the site. It is clear precise and a real aid to any one in need of help from the flu. The color yellow and the flowers remind me of spring time which is flu season so I have to look no further for relief it is right here. Thank you very much Robert! I love your name. 🙂 This was my first website and I want and will do another website on natural health and wellness in the future because of all of my personal success and that of some members in my family following my lead. The health niche is so broad so I focused on flu prevention first. My next one or ones maybe more controversial because many people still don’t really know the truth or refuse to know the truth about some of the many natural cures and prevention of many of the diseases of today. But I always practice what I preach and I hope people will learn from what I preach. – Thanks for visiting my website! I just wanted to say a lot of people may think that the flu shot is no big deal. I have gotten one myself every year since 1997 and didn’t have any side effects that I noticed. It was over time that things changed in my body. On Sept. 26th, 2013 I got, what will be my very last flu shot. The next day I experienced watery bowels that never stopped. In November I was diagnosed with Microscopic Colitis. Is it coincidental that this started the day after my flu shot? I don’t think so, but of course the doctors say it is unrelated. People do some reading about the flu shot and the side effects. I never believed it would hurt me, but it has changed my life forever. Then with the diagnosis, the doctors tried to put me on meds that made me nauseated and had the same side effects as the problem I was having. I finally got smart enough to research and try some natural alternatives to medicine. IT WORKS! I am not healed, but I am able to manage my problem, knowing that God provides us what we need to mend our bodies. Not to say that there are times that we may need the doctors medicines, but I believe there are other alternatives to fighting off the flu… as Robert states so well. So sorry to hear about how the flu shot has effected your health Tracey, and I would be willing to bet that IT WAS the flu shot that caused your problems because I know many doctors who absolutely refuse to take the flu shot themselves because of how ineffective and sometimes quite dangerous they are. My primary doctor will NOT even prescribe it to any of his patients. As he says every year when flu season comes around, “why would I give something to my patients that isn’t scientifically proven to be safe or the slightest bit effective?” This is one of the many reasons why I love my doctor. He educates his patients on how to stay healthy and hardly ever prescribes any medication. He believes, as I do, that God has given us all the natural cures we need and man can never create anything better than God. Hi Robert. Great site – totally agree with your approach – prevention is much better than any cure – so healthy eating will prevent many illnesses. Stay away from processed foods (read fast foods) as much as possible. Thank you John for your comment. Yes, staying away from processed foods, junk foods and fast foods is very important if you want to stay healthy. And when you can’t and that can happen quite often in this fast-paced lifestyle nowadays, taking a high potency multivitamin, mineral and antioxidant supplement every day will help to counteract the bad ingredients. Hi Robert, great site with many useful info. I never used vaccination and I avoid medicament as much as possible. When I get temperature I let my immune system take care of it, using a lot of herbal tea, massage oil (avocado, coconut or similar, can be also cold pressed olive oil or similar) that I mix with Aromatherapy oils (lavender, menthol, eucalyptus or similar – not more than three) and use it to massage my feet. My temperature is never very high though. In cases when I get sore throat I mix warm water with sea salt and turmeric (which is natural antibiotic) and gurgle few times in a day – it goes away the next day. Our immune system is not good thanks to all those tablets we use. It is good to take care in different way, internet is full of old recipes and your site is a plus. If I help anyone with this, I would be glad since I am using it for decades and told all of my friends. Looking forward to your content. Natural medicine is by far way better because natural medicine has been around forever and through technology it has become safer and more effective. Plus I am someone who believes in God and nothing that God creates is going to be inferior to what man creates. So I prefer to go the natural way because it has proven to not harm and kill people like man made pharmaceuticals do on a daily basis. Like Hippocrates said, Let food be thy medicine and let medicine be thy food. It is good to see that you wrote about this. Since I don’t have flu shots or any other shots I am healthy. Makes me wonder why people still get flu shots. Because their doctor said so? Yes Linda. That is why people get the flu shot. Because they don’t take the time to take care of themselves and will believe everything their doctors tell them without even questioning them. I ALWAYS question everything my doctor tells me, unless I already know about what he tells me. The flu has been around far longer than the vaccine and people have survived it quite well without it. So why would anyone want to take the vaccine that has no proof to work? Because they don’t educate themselves in the truth. People need to stay at home when they get sick. Stay out of public! During flu season I stay out of public. It really isn’t hard to avoid getting the flu if you just use some commonsense. Unfortunately those who promote getting the flu shot do not use commonsense nor do they have any factual knowledge in the truth about the flu virus. Mainly that the flu virus is always around, at the same strength, and doesn’t just reappear when “flu season” come around. The same thing that prevents you from getting the flu during the spring and summer months can also prevent you from getting the flu during the fall and winter. That “thing” is a strong immune system. Thank you. I’m glad you enjoyed my content. Great site Robert; I wholeheartedly agree with you regarding flu shots (don’t get them) Lots of informative information just plain good advice… I will be checking back soon! Thank you Tom! The flu shot is really not necessary since it is the body’s immune system that protects and cures us of ALL viruses. That is what my doctor teaches me, what he advocates, and what I have been doing for more than 20 years. Works like a charm! Very good informative site to protect from daily like illness. I’m a little older than you, and so can give a longer term perspective on flu shots. In my case(i’m 62 years old), i’ve had a flu shot about 6 times, and every time i end up with a case of the flu, not just a mild one either. My solution is NOT TO HAVE A FLU SHOT, and just let my own immune system work it’s magic. I’ve only had the flu a couple of times in my life, when not having flu shots. I understand though, that we are all different, with our own gene history, but that is my flu history. I fully agree with you Greg. One thing to consider is also this. The flu has been around since the beginning of time. Billions if not trillions of people all over the world have effectively and safely survived the flu without the flu shot, which only came into practice in the 20th century. This is absolute proof that the body’s own immune system when strong or strengthened is the ABSOLUTE BEST protector of the flu virus. I’ve been going back and forth whether or not to get the flu shot. I’m going on a cruise (ship holds about 800 guests plus 400 staff). I’m 67, haven’t had the flu in over 20 years. I had it for about 3 years in a row and then stopped. But in concerned about being in a confined area with so many people. My gut says don’t get it….what say you ?? I wouldn’t get it and I have not taken the flu shot for a little more than 30 years now, and have been in confined areas like a plane with coughing sneezing people. All I do is make sure I ramp up my immune system by taking at least 5,000 IUs of Vitamin D3 everyday. I also take 300mg of Alpha Lipoic Acid twice a day and I stay away from as much sugar as I can because it depresses the immune system. I’ve been doing this for years with great results. One thing to remember is this. The flu virus is with us 365 days a year, but the only reason why people get it during the fall and winter months is because these are the months that our bodies stop making vitamin D3 from sunlight. This is why I said to take at least 5,000 IUs of vitamin D3 per day. This will help keep your immune system strong and the Alpha Lipoic Acid will also help by re-energizing any vitamin C and E you get in your foods.